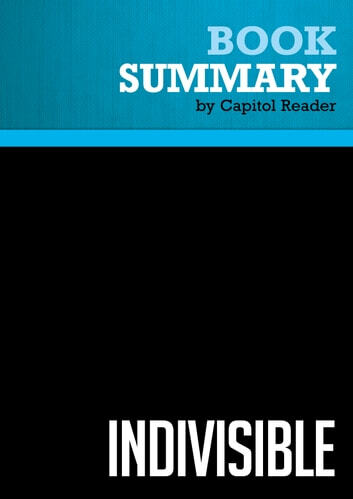 This ebook consists of a summary of the ideas, viewpoints and facts presented by Martha Zoller in her book “Indivisible: Uniting Values for a Divided America”. 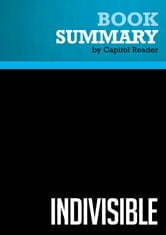 This summary offers a concise overview of the entire book in less than 30 minutes reading time. However this work does not replace in any case Martha Zoller’s book. She points out that contrary to what the media proclaims America is not that dramatically divided politically and ideologically. Instead she argues that America is actually a ”center-right” country and the majority of Americans are conservative. Summary of New Deal or Raw Deal? : How FDR's Economic Legacy Has Damaged America - Burton W. Folsom, Jr.
Do political parties still have a role to play in American elections? What has your Government done for you? Freedom, Common Sense, and the "Nanny State"
Was Mau Mau a war for land and freedom? What's So Bad About Cronyism?